May 27 to June 1, 2018, NAFSA (The Association of International Educations) hosted its 2018 Annual Conference and its 70th Anniversary Celebration at Philadelphia, Pennsylvania, U.S. Over 10,000 attendees in the field of International education attended this annual conference. The former First Lady in the U.S., Mrs. Laura Bush gave the keynote speech at the Opening Ceremony. 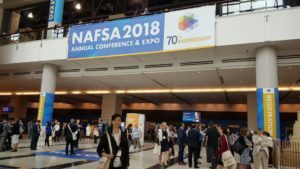 The 2018 NAFSA Annual Conference included forums, workshops, presentation sessions, poster sessions, and the Expo. 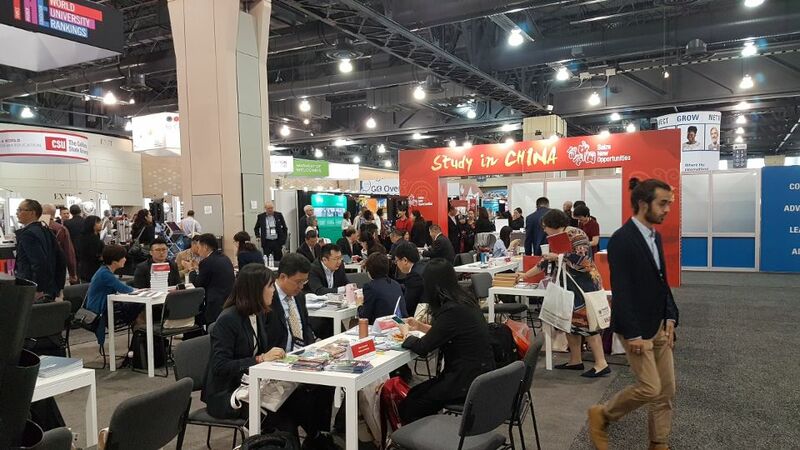 Many worldwide prestigious higher education institutions from the U.S., China, Britain, Germany, Demark, Japan, South Korea, and other countries attended the Expo, such as University of Pennsylvania, University of California, Peking University, WASEDA University. 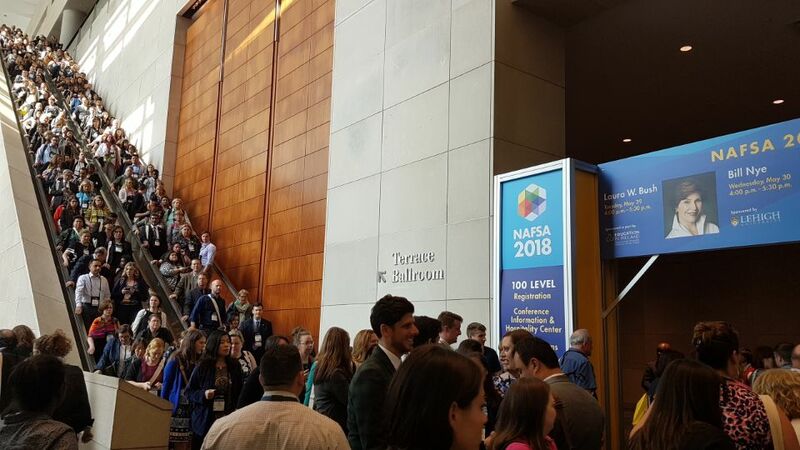 Attendees discussed hot topics in the trend of international education and related policies, research and practice, globalization and internationalization on campus, cultural adaptation in study abroad, and supports and services to international students. 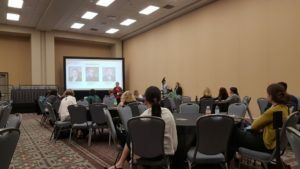 As a first timer, Chinese teacher Ms. Dong attended forums and presentation sessions, and visited poster presentations and the Expo. 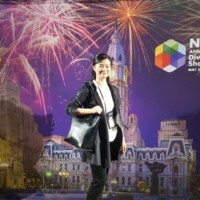 Ms. Dong discussed the foreign language assessment and evaluation with attendees, communicated with local American high schools about the foreign language teaching and learning, the Summer Camp and study abroad exchange programs in American high schools, and exchanged ideas about the understanding of Chinese culture from foreigners. 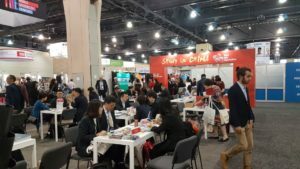 All of these activities gained valuable experiences in teaching Chinese to foreign students, international communication and global promotion of Chinese language, which will benefit the work in our college in the future.